By now we have all seen the coupe version of the hotly anticipated 2018 Mustang, but now we finally have our first look at the redesigned convertible S550. This mid-cycle refresh helps to emphasize the body lines of the S550 Mustang , while not over-complicating its look. 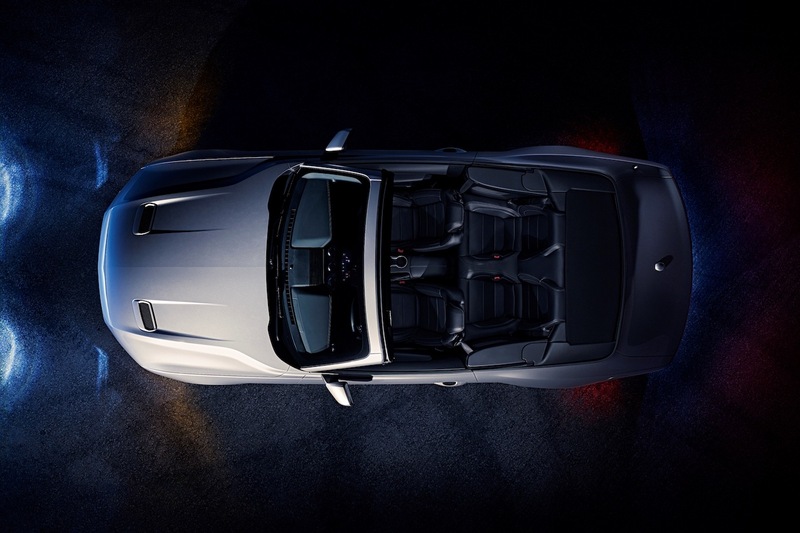 The 2018 Mustang convertible benefits from a sleeker design that evokes a more athletic and aggressive appearance than the 2015-2017 models. Like the coupe, the front end and rear end have both been designed, which has resulted in refined aerodynamics. Personally, I think the subtle touches and adjustments Ford has made to the 2018 Mustang, especially the convertible, help round out its styling in a way that makes the S550 platform feel complete. One of the biggest talking points of the 2018 redesign has been the addition of active exhaust systems. A feature that gained a lot of attention on the 2015+ Shelby GT350, active exhaust that can become louder of quieter at the flick of a switch. In the video above from HorsePower Channel on YouTube, you can hear the active exhaust in action on this pre-production 2018 Mustang. The tone is deep and full, with the perfect amount of rasp, really allowing the S550 to unleash its exhaust note. While some enthusiasts will be satisfied with the stock setup, many will want to upgrade the 2018 Mustang’s exhaust to something a bit louder. What is uncertain is if people will upgrade their exhaust system to one that uses an active exhaust design, or if more people will go with your more traditional option. Ford is sending their redesigned S550 Mustang out across the country on an auto show tour which will end with it going on sale this fall. While Ford hasn’t announced anything around pricing for the 2018 model, it shouldn’t be too dissimilar than what pricing is like for the 2017 Mustang. Is this the best looking convertible Mustang yet? Would you upgrade the exhaust on the 2018 Mustang? Comment your thoughts below!